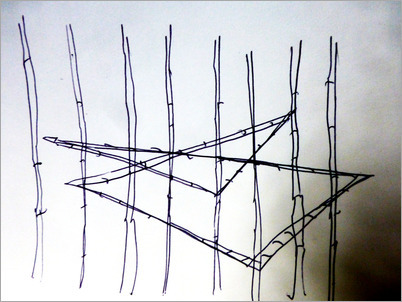 It is a copy of the way bamboos are falling in the forest, forming oblique lines trough a vertical pattern. 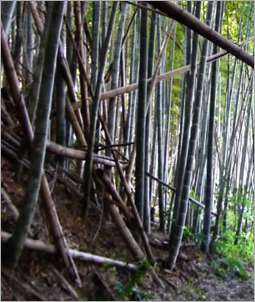 The bamboos join together as elbows, knees, ankles, fingers in fist, in mouth, in nose, in order to form a looping broken line. 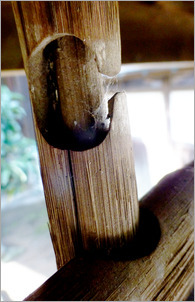 The bamboo‘s interlocked slots are rubber reinforced. 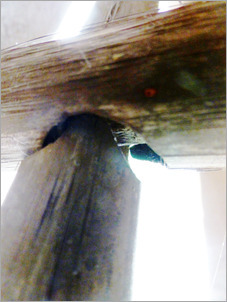 The Prosthesis becomes an autonomous structure.